On the 4th of June, the first of four defendents in the second J20 trial group was acquitted of all charges, and all charges dropped against the remaining defendents who were to begin trial that day in another trial group. On the 6th of June, another defendent was acquitted of all but one charge, with the jury deadlocked on the final charge of "participating in a riot." On the 7th of June, the third defendent was acquitted of APO and the jury deadlocked on all other charges. Finally, a mistrial was declared on all counts against the fourth and final defendent, the jury deadlocked. The attempts by the prosecution to prejudice the jury against the defendents totally failed. Even closing arguments where the sound of breaking windows was played while defendents names were read failed to produce guilty verdicts against any defendents on any charges. The government can still refile the charges on which juries deadlocked within 30 days, but doing so would risk using up the court's time and the jury's time for another round of deadlocked juries-or just as likely full acquittal of all defendents. If the government is smart, they will cut their losses and drop J20! One defense argument that reportedly swayed jurors was that sports fans are not all held responsible for what any of them do while all are wearing the same color. Juror number nine reportedly said "especially with the Caps doing so well right now, we actually brought that up several times." This drives home the political nature of the case. If the Stanley Cup had ended with the Capitols losing and fans rampaging through the streets, it is extremely unlikely that any of them would have faced anything more than a single misdemeanor charge, and that only if they were arrested in the act of something. Sports riots rarely bring the kinds of police repression anti-Trump, anti-pipeline, and Black Lives Matter protesters face even if they are peaceful. This is now zero convictions out of ten defendents tried by jury for alleged offenses during the J20 protests against Trump's inauguration. After the first round of acquitals in December 2017, charges were dropped against over 120 defendents. During pretrial motions for what was to be the third trial group, the prosecution was caught concealing a portion of a Veritas video being used by prosecutors from the defense. 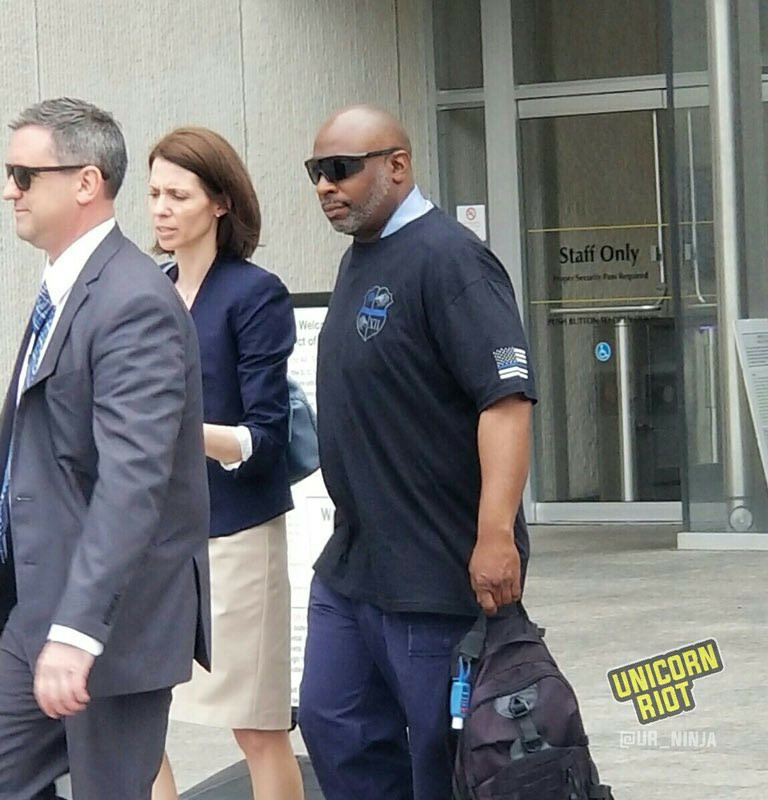 Unicorn Riot reports Judge Morin called Jennefer Kerkhoff on the carpet for lying to him about evidence, asking "Can you explain your office's representation that there was only one video provided to Detective Pemberton by Project Veritas?" Sanctions imposed on May 31 against the government for willfully concealing exculpatory evidence (violationg the Brady Rule) included a ban on use of any part of the Veritas video in question in that or any other J20 trial, the dropping of all conspiracy charges, and an end to the prosecution's ability to assert "Pinkerton Liability," or guilt by association. At that point, all felony charges were dropped against all defendents, but that still left the misdemeanor counts. Jennifer Kerkhoff essentially got caught cheating in the courtroom, knowingly violating the very well known "Brady" rule requiring that evidence posessed by prosecutors which is favorable to defendents be shared with the defense. Project Veritas is James O'Keefe III's extreme-right covert video project, which has received funding from both Robert Mercer and the Koch Brothers. Robert Mercer threw his support solidly behind Trump and has some kind of connection to Steve Bannon, former Trump strategy boss. Steve Bannon is a known white supremacist. Breitbart News, known as the "platform of the alt-right" has also been known on more than a few occasions to partner with Veritas on stories, once getting themselves included in a FL defamation lawsuit as a result. Some suspected Veritas had in fact been originated by Breitbart, but an oline search finds no evidence of that. Still, they do seem to be close partners on multiple stories. In fact, the hatchet jobs run by Breitbart News and by Veritas against J20 seemed to make a lot of the exact same arguments, talking in lockstep. Detective Pemberton was revealed in the Nov-Dec trial to follow neo-Nazi Twitter accounts, one known for daily rants against Latinx people. He is also known to have sent anti-Black Lives Matter tweets and referred to activists as "leftist goons" in another tweet. That he and project Veritas would work together is no surprise. Collaboration between police and the alt-right in this case was extreme: when the alt-right doxxing site GotNews published the names and home addresses of all defendants, they failed to scrub the metatada. The post was traced to a particular MPD officer, sending personal information about defendents directly to the alt-right. The address information was quickly knocked offline by a campaign against the third party hosts where it was parked, and it was never searchable as it was a single large image file. As of June 7, the government's ability to get convictions for misdemeanor counts is also now in serious doubt, with the second jury in a row apparently not impressed by the prosecution's wild stories, lies and excuses for "evidence." Also a factor in these cases has been the blatent cooperation between police and prosecutors on the one hand and the alt-right (neo-Nazis) on the other hand. Veritas is a project of Breitbart News, once called "the platform of the alt-right." The term "alt-right" may have originated with Richard Spencer's efforts to rebrand neo-Naziism in more "friendly" terms such as his "National Policy Institute." 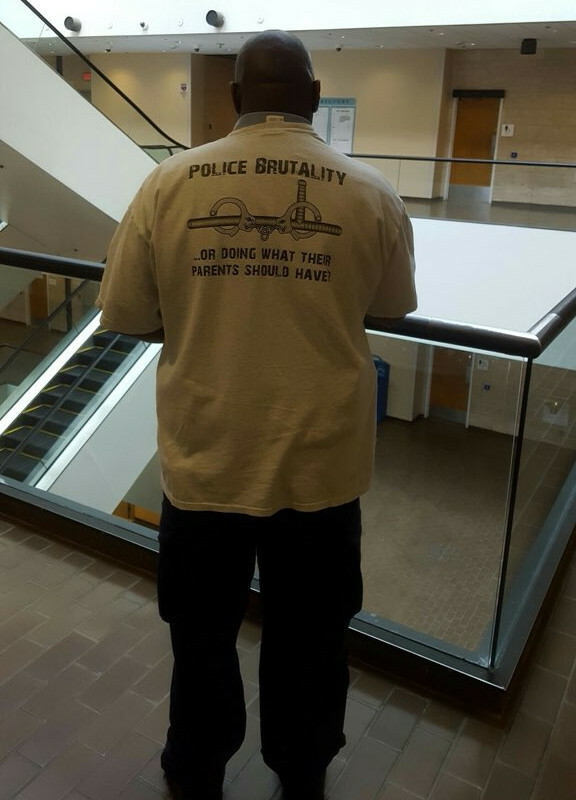 In the trial that ended on June 7, one of the police officials who testified was seen afterwards wearing a pro police brutality T-shirt. That same cop has previously been accused of police brutality. In the Nov-Dec trial it came out that police had claimed to have learned techniques for brutalizing protesters by brutalizing residents of African-American housing projects slated for demolition and replacement by condos.